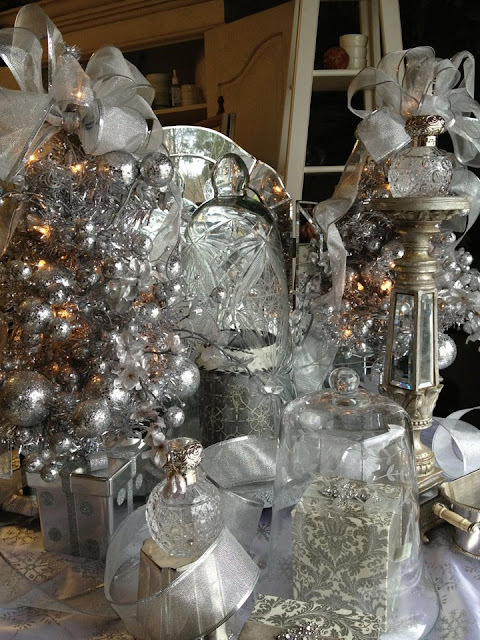 As I designed this display today for our shop window, it reminded me how much I love using silver, not only during the holidays, but throughout the year. 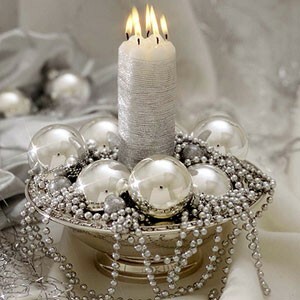 I love doing simple, yet elegant displays like this design, using a silver container, garland, a few inexpensive silver ornaments, and a pretty candle. Mercury glass is another favorite. 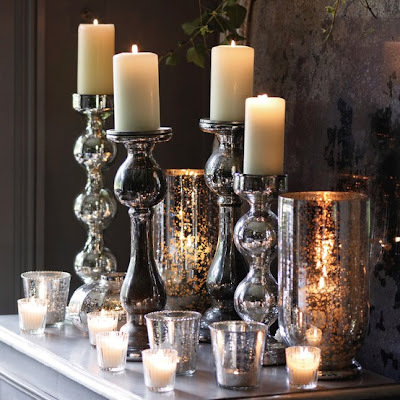 It is relatively inexpensive and looks gorgeous lit with candles. Silver ornaments look beautiful among the green boughs on a Christmas tree. Paired with faux silver berries, it is stunning and classic. 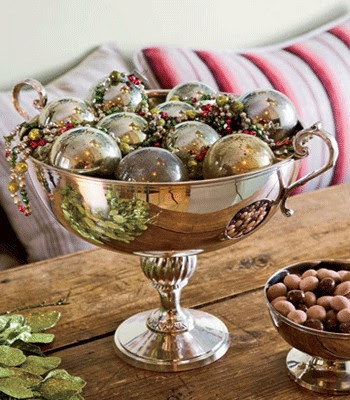 This is another example of using a year-round silver container to hold shiny ornaments for a quick but classic decoration for a table or sideboard. This is a table setting I did using red transferware, creamware, and silver baby cups from my collection. 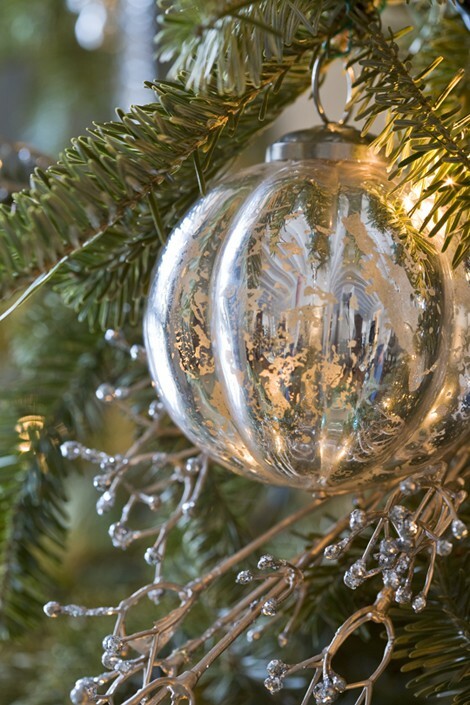 Using your collections in combination with ornaments or other holiday decor makes the design much more meaningful and personal. 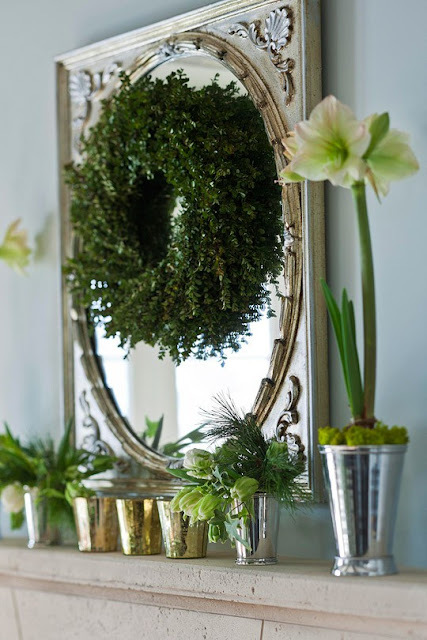 Silver containers such as mint julep cups look so pretty containing amaryllis or paperwhites at Christmas time. I also love the look of this green wreath against the silver-finish mirror. 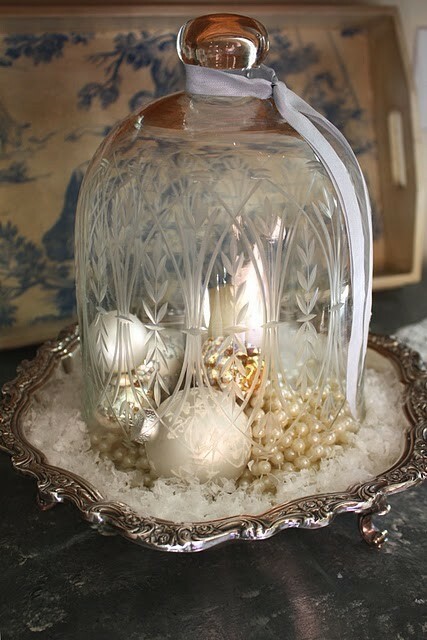 This is just a beautiful idea using a silver tray, a crystal cloche, faux snow, some pretty ornaments, and pearls. Easy but so elegant. Remember to think outside the box with your holiday decorating and don't forget the silver! Looks beautiful, I love silver at Christmas. Richard from My Old Historic House. Looks beautiful. I love a little sparkle for Christmas. I love all that you did with silver. I found some really special pieces today at an estate sale and will now mix them with my Christmas decor. Beautiful images! 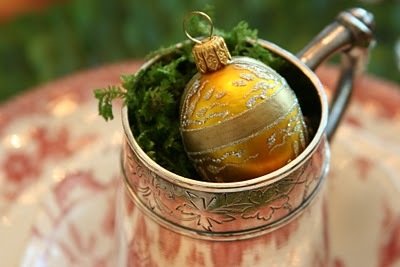 I love the sparkle of silver with Christmas greenery.